Today’s post is not focused on personal wellness or a home remedy per se; but rather Mother Nature’s wellness, specifically the tireless honey bee that makes 1/3 of our food supply possible. The honey bee is tremendously important because without them, you wouldn’t have access to many of the natural ingredients discussed on this blog. It’s also important to me in my efforts to make medicinal products for people; long gone would be the beeswax that I utilize to make salves; gone would be the actual plants and essential oils that provide the medicinal benefits. There are a lot of non/for-profit companies out there that support honey bees and the one that I support is the Pollinator Project’s Honey Bee Health Improvement Project. A neat thing about them is that I can choose where to donate my money; research, pollinator gardens, one-time gifts, garden kits and more. I’m donating to the Bee Smart School Garden Kit so that I can give it to the school my niece attends. There is a lot of controversy surrounding the decline of the honey bee; so far the main suspect is pesticides. We must keep in mind the sheer volume of chemicals that are used on a daily basis. The residue/runoff/evaporation of chemicals has to go somewhere and that is usually the earth, water and the ozone; which eventually impacts our bodies as well as plants and animals. At home, the two types of pesticides used are herbicides to control weeds and insecticides to control insects. There are numerous recipes to be found on the internet for natural herbicides and insecticides. If you are interested in any of them, take the time to research them thoroughly to better understand the impacts they may have on the plants in your area. Unless you are an expert on honey bees or keep a hive, I do not recommend feeding them with sugar water. The nectar from plants is the best source for bees and their needs. What we can do is offer them water they can safely drink without drowning. If a bee should end up in your house or car, please get them out rather than kill them. Not sure how to tell a honey bee apart from his cousins? 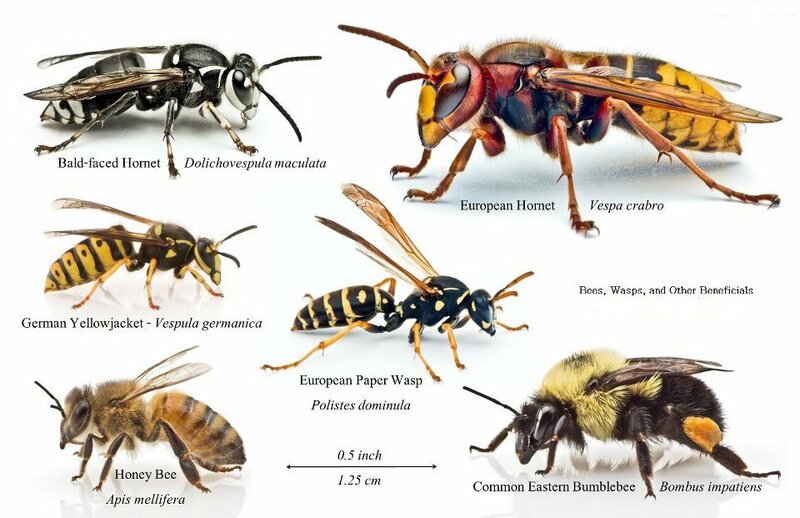 Check out the links below for identification tips, more information on the importance of bees and how you can help.